Sir Wes is lighting up the grill this weekend to get his wings on. As you must know it is the long awaited NFL Kick-Off Weekend. 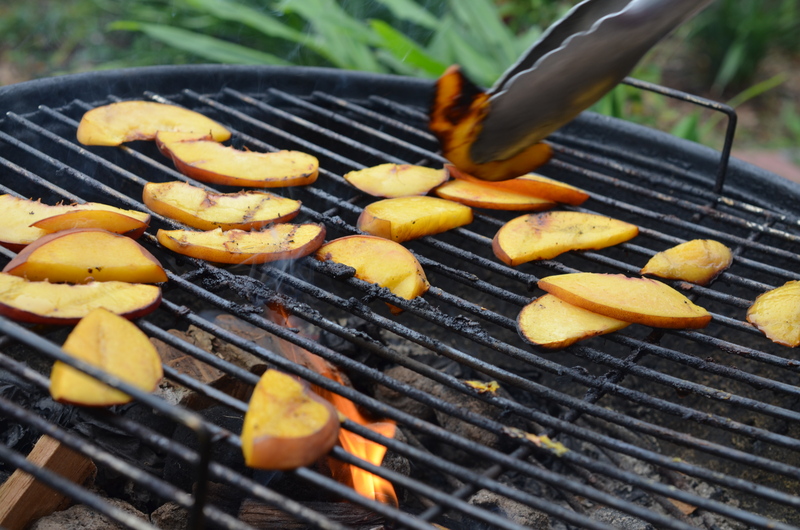 With coals already burning, I thought I would cut line and grill some peaches before the wings hit the grill for a quick salsa. Prepare grill, charcoal or gas, to medium heat. Brush the peaches sections lightly with oil. 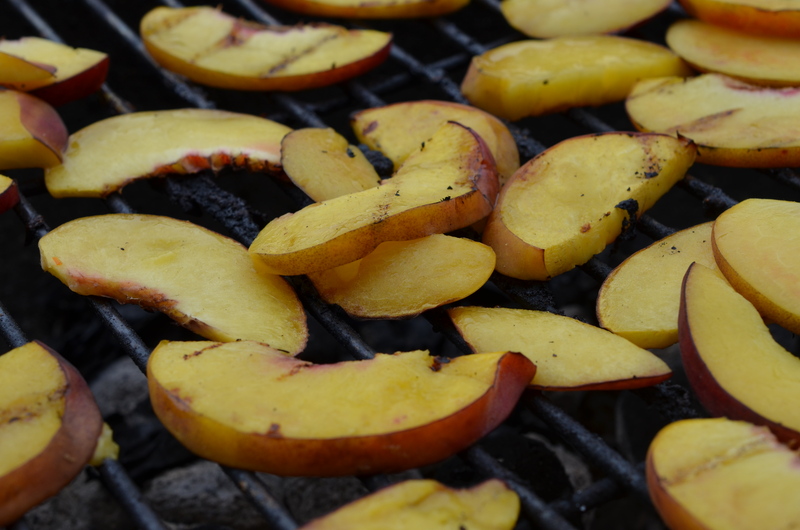 Place the peaches directly on the grill and cook until charred and softened, 3 to 5 minutes per side. 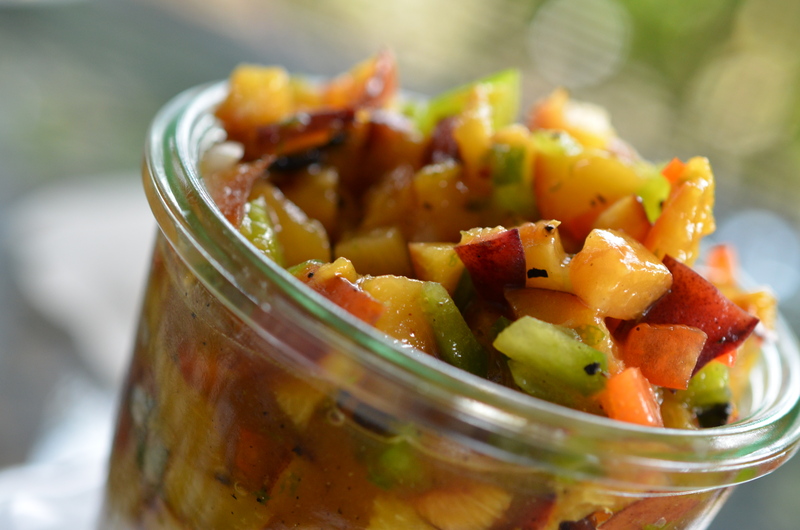 Remove from the grill and cool in refrigerator. Meanwhile mix the onions, peppers, lime juice, cilantro and a touch of salt. When cooled, chop the peaches into 1/4-inch pieces and add to the mixture, tossing delicately. 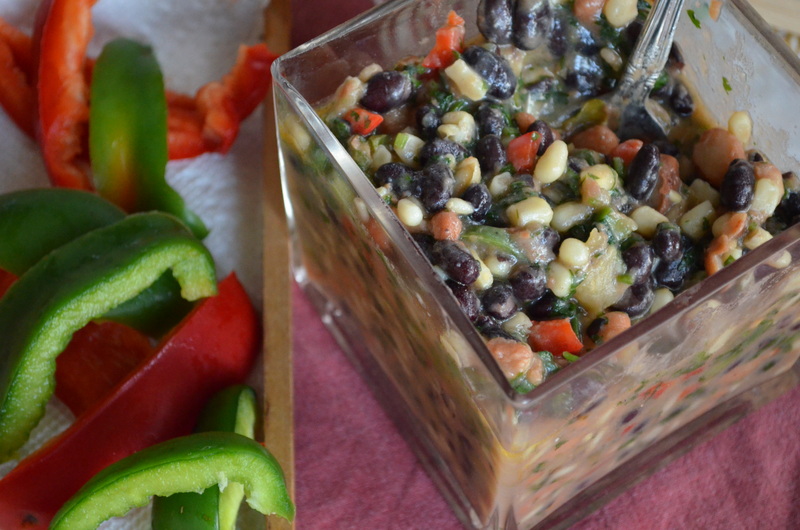 This salsa works will with chips as well as grilled fish, chicken, pork and anything else that might be on your game day table! About half way thru the football season I will start to focus more about what is on the table then what is on the TV. By 3/4 thru the season the only thing that keeps me tuning in is the Steelers and my fantasy teams. I am a tough competitor (I like to think anyway) in 2 Pigskinner Pick ‘Em Leagues, the owner of one fantasy football team, and assistant coach to another. By this late into the season I have started planning the Superbowl Menu and tuning into Real Housewives in lieu of the 8:00 game. That’s pretty much my football season, but for this weekend I am all in! By the way- did you notice how shiny and pretty the Notre Dame Gold helmets are? Here we go! Here we go!! Not too long ago we had a town hall at work in which the team, or if you work at Walt Disney World, the Cast put together a menu based on their background and heritage. With over 60 cooks participating, you can imagine how extravagant and flavorful this lunch was. I took away a ton of idea’s and a full belly, not to mention a recipe or two. The recipe for Texas Caviar came from another part of the kitchen team, one of the most important parts- the receiving/ordering team. They are not chefs, but let me tell you they have more food knowledge then many cooks, form cuts of meat, vegetables in season and which fish are swimming when and where. Just a reminder to never judge a book by its cover, that everyone you encounter has something to offer. 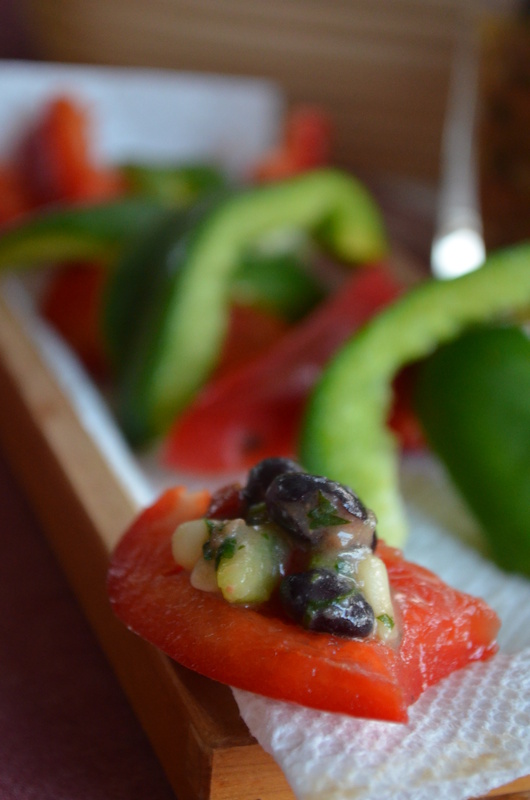 As all things in Texas, this “caviar’ offers big texture with big flavor. Drain and rinse beans and corn if using canned. 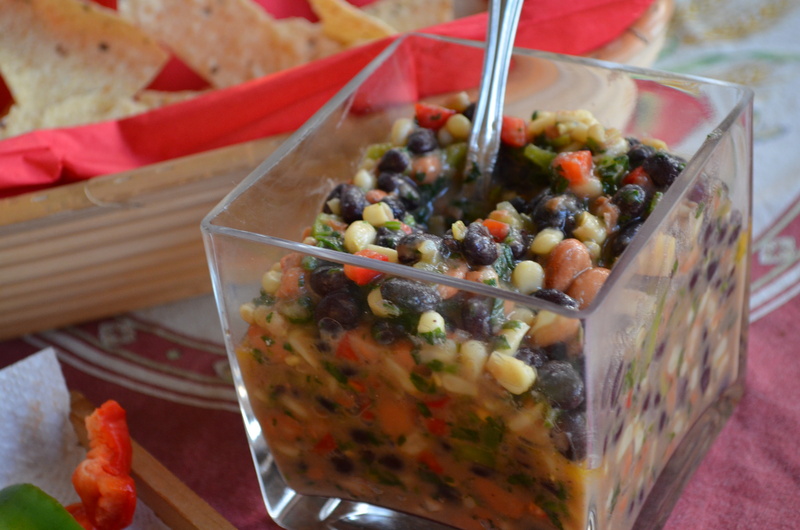 Combine the beans, corn and peppers in a mixing bowl. 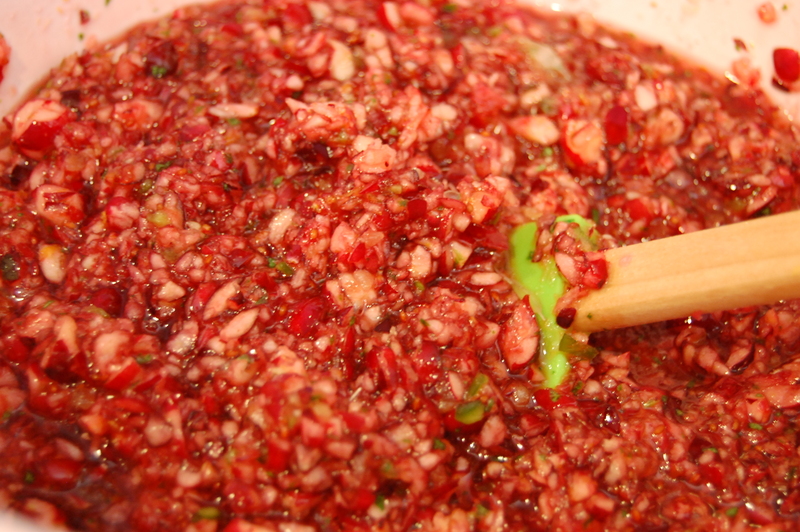 Make the dressing by putting the vinegar, oil, sugar, garlic powder and salt in a small sauce pot and bring to a boil. Immediately pour over the bean mixture and stir well. Add the chopped cilantro and refrigerate until cool. 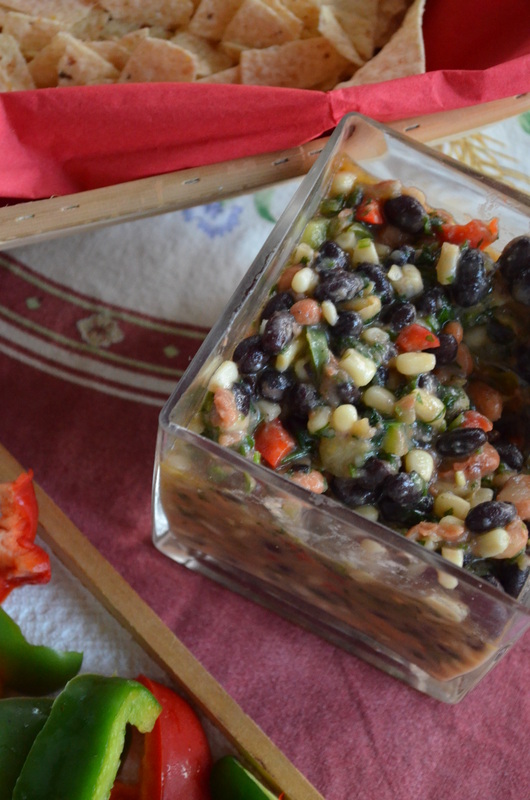 Serve with fresh cut veggies, tortilla chips, or over a bed of greens. 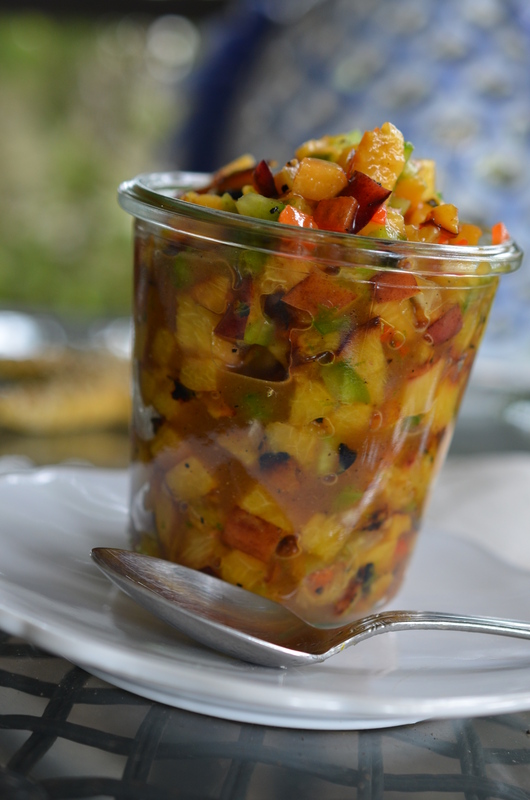 The flavors grow with time, mixing and mingling and become perfectly balanced between salty and sweet. This has moved to the top of my list for healthy reception dips/salsas. Kitchen talk has a wide range, from personal family stories, to tales of out of work shenanigans, to light to heavy teasing of one another, and of course food. A team of over 60 can bring a lot of ideas and a ton of knowledge, and especially a lot of passion. It’s easy to forget what a great resource is around you with all the beautiful cookbooks on the shelves and the ease of the internet in our hands or pockets. More often than not the answers or ideas your search for is under your nose, or paperwork and order sheets in this case. I have an admission to make- I like canned cranberry jelly, ridges and all. This is how I grew up-which is probably why I am ok with having the good old sliced cranberry jelly every so often. 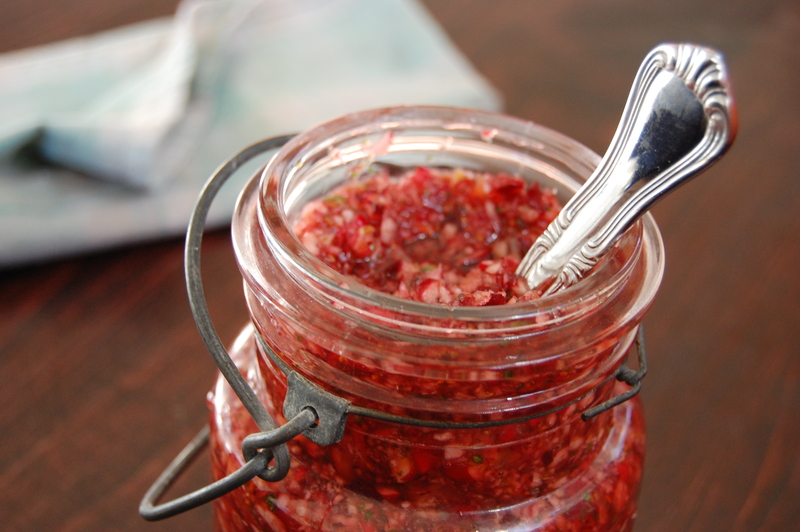 HOWEVER- as long as time permits, I would much rather make my own cranberry relish or chutney. This year’s planning session led me to find a recipe in Southern Living featuring a Cranberry Salsa, which I knew must be great being that all things “salsa” are always delicious. It’s the cilantro I love, not to mention usually there are chips, and maybe a cerveza. 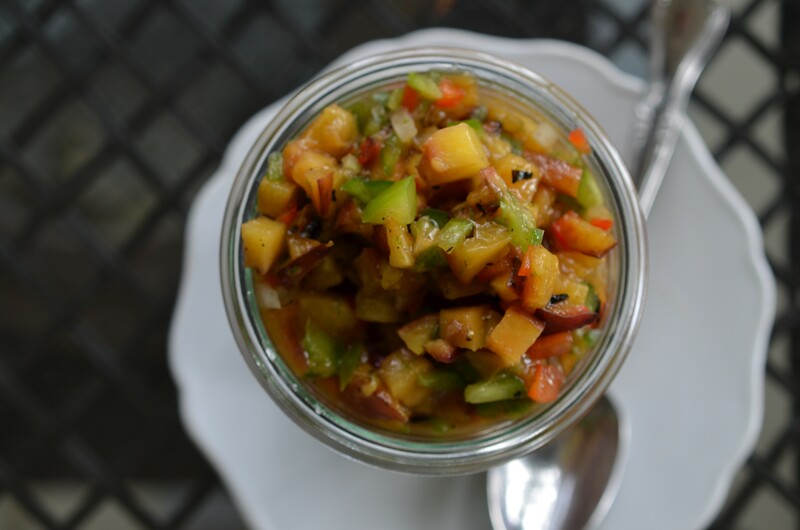 This is a great alternative to a typical relish, or even the lovely canned cranberry jelly! Another great thing about this dish is that you can do it pretty far in advance, I made it on Sunday and the flavors are melding together already. 1. 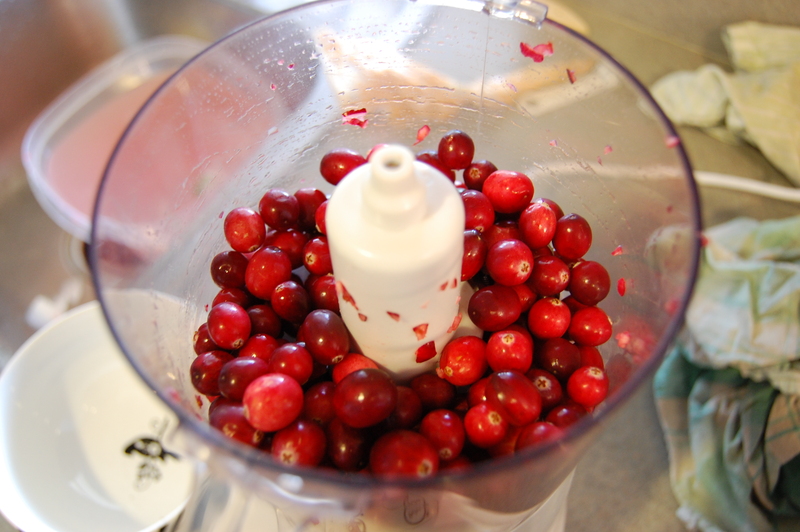 Pulse cranberries in a food processor until coarsely chopped. Transfer to a bowl. 2. Pulse orange zest and next 5 ingredients in food processor 3 to 5 times or until orange, ginger, and pepper are finely chopped. 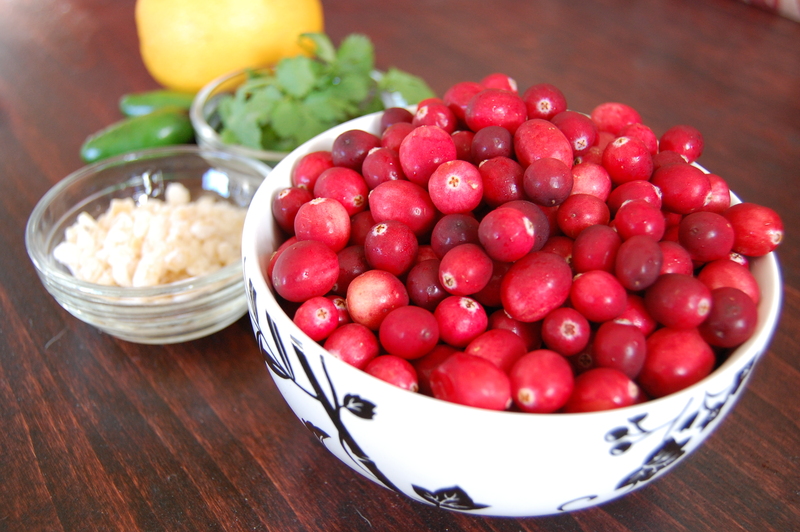 Stir into cranberries; cover and chill 2 before serving. 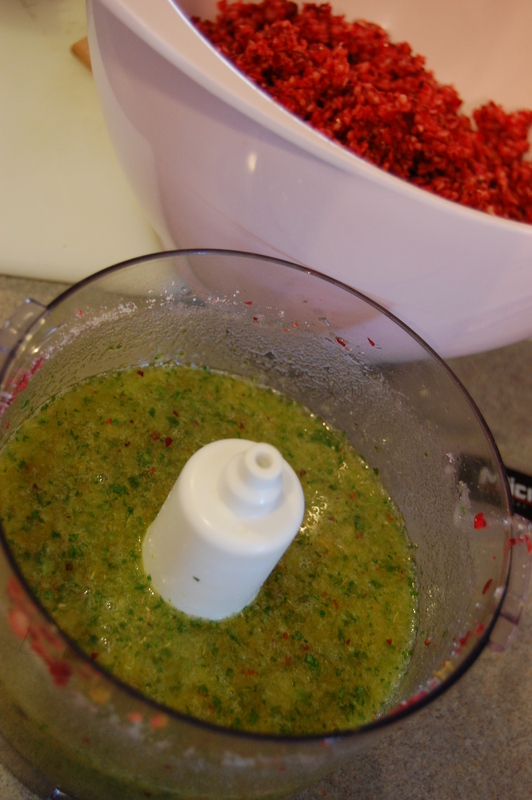 You can chop everything by hand or use a blender if you are without a food processor or time! Can you see all that delicious cilantro! From start to finish it took me about 15 minutes- super easy! The longer it sits the better! 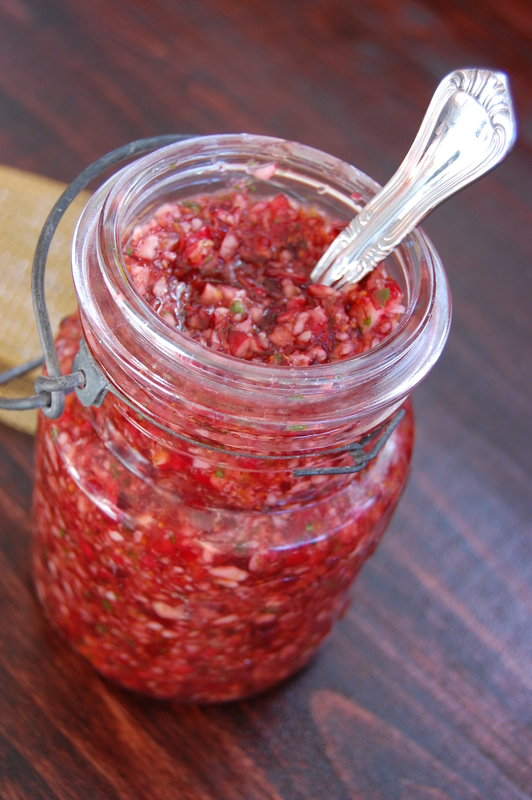 I actually could eat this by the spoonful, out of the jar! 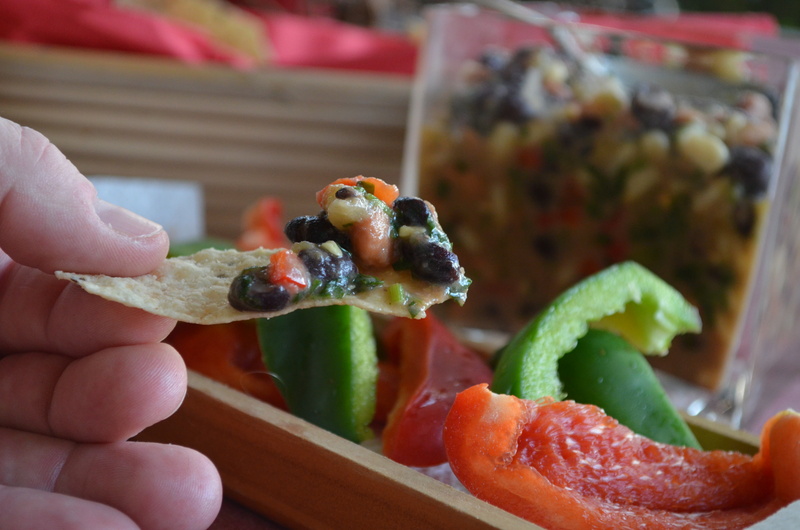 The last perk of this recipe is that I am guessing by adding a little cream cheese to it after Turkey Day is done, you will have a tasty tortilla chip dip! Happy Holiday Cooking!!!!!!! And Happy Leftover Eating!